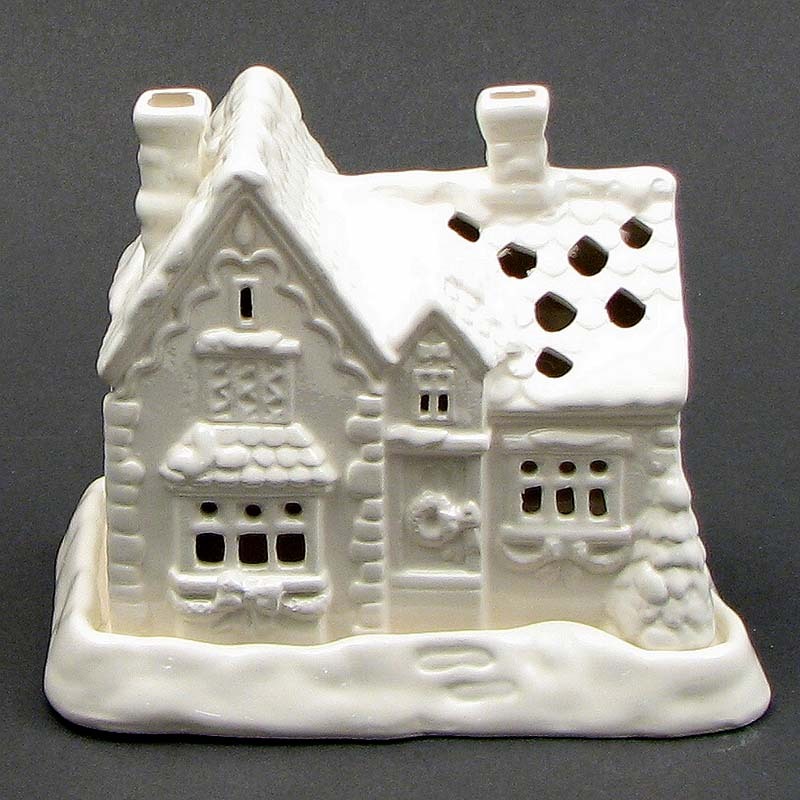 Measures: White ceramic house comes with 4 tea lights. Great for that special candle glow in your home. Measures 5.75"W x 4.75"H x 3.75"D.